The women's jacket in leather effect of ACEVOG convinces with its trendy short cut and small collar. The waisted shape and ribbed hem and cuffs emphasize the female figure. 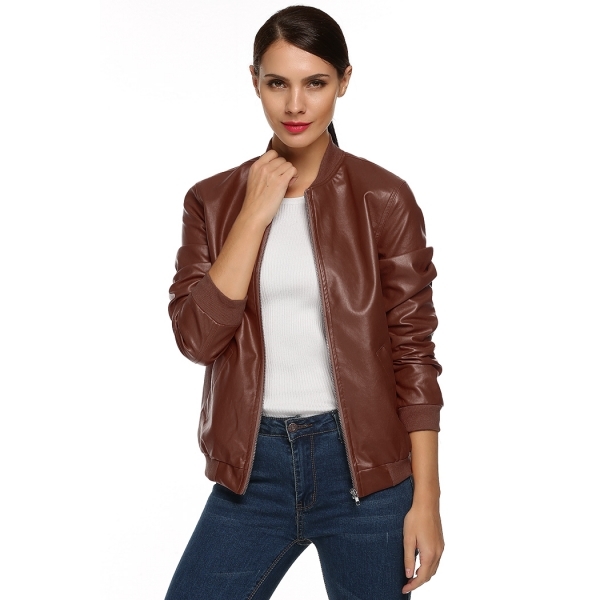 The leather jacket from ACEVOG is therefore a must-have for the fashion conscious woman. This jacket is elegant and at the same time rocking and stylt any outfit.